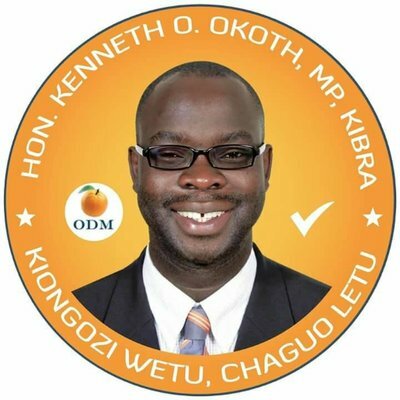 A group of idle internet users took a dark path to give life to a rumour that Kibra MP Ken Okoth had died. The legislator is fighting cancer and is under medication. Pictures from his last chemotheraphy showed the effect that the drugs had on him but he was still well. Recently, sad reports surfaced on-line claiming that the MP had succumbed to his illness. He was forced to tweet and prove that he is still well. He rubbished reports saying that some people had "killed" him before his time. Many celebrities and prominent persons have faced the misfortune of learning of their deaths on social media. Most of these rumours can be traced to malicious individuals who are testing the power of social media. The Kibra MP is a loved leader and everyone is wishing that he recovers and continues to be an active cancer warrior until he gets better. Forget about the rumors and concentrate on your medication. This should open a new wave of prayer for the cancer warrior. They throw bricks and you use them to build. Get well quick Kiongozi. Some people are quite insensitive, how I wish we could export them to China for hard labor as part of our loan repayment plans.